This spotted beauty has been a favourite of many pet lovers for decades. Made famous by the Disney classic 101 Dalmatians, this wonderful breed is well known for their funny antics and lovable nature. The Dalmatian has certainly made a permanent spot on the hearts of those who love them. 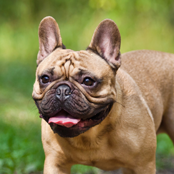 This adorable breed simply thrives off obedience. 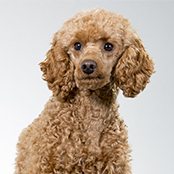 They are an enthusiastic and eager to please dog who will flourish working alongside their loving owners. Like with all breeds, positive, gentle and consistent training is vital as Dalmatian’s do not take well to harsh punishment or heavy training methods. Early socialisation and exposure to sights, sounds and people/pets is also an important factor in raising a well-rounded confident dog. The breed excels in all dog sports including obedience, agility, Frisbee, and any activity that flexes their muscles and mind. As an active and intelligent breed, the Dalmatian makes a wonderful exercise companion. They will thoroughly enjoy a good on-leash jog or hike in the great outdoors. On-leash and off leash training is a must to ensure you get the very best out of your loyal and loving companion. The super slick coat of the Dalmatian is super easy to care for. Only requiring a weekly brush with a rubber mitt to remove any dead hairs. But be warned, they are yearly shedders and having a white coat, they will certainly leave their mark on all of your black attire. With this being said; most Dalmatian owners are aware that a piece of black clothing without a hint of white hair is simply unfinished. They are not a smelly breed and will rarely require a bath, unless they have found something especially smelly to roll in. Like with all pups getting your dog used to being touched is important and will make routine veterinary visits easy. Touch their paws regularly, as too, their ears and lips. 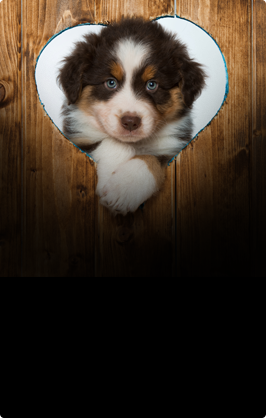 This will help desensitize your puppy to this feeling, making your dog’s routine check-ups a breeze. The Dalmatian is a very active breed. If you do not have the time to correctly exercise and entertain your dog it is best to seek a different breed. They will become destructive if not exercised correctly and adequately. They simply love to play and be close to their loving human pack (AKA you). A good brisk walk or run twice a day, alongside some fun activities such as a game of fetch, Frisbee or a dog sport will keep your Dalmatian happy and at ease. 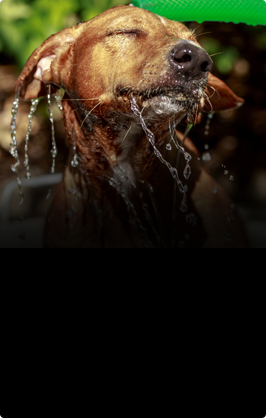 They simply love to run and play, ensuring your dog gets the adequate amount of this will determine how happy they are. Being a highly intelligent dog, the Dalmatian is happiest when busy. This being said they do not take well to endless hours left alone to their own devices. A bored and lonely Dally will easily find something entertaining to do such as escaping or becoming destructive. Keep your Dalmatian well trained, and active will ensure they are happy lazing about the day while you are at work. A good jog in the morning before work will certainly keep that famous Dalmatian smile in check for your return. Also consider utilizing boredom busting devices like treat-balls and KONGS and also enriching our Dalmatians alone-time area. Dalmatians make wonderful family pets. Their high energy and playful nature makes them a favourite with children. But like with all dogs, it is important to teach your children how to correctly behave around a pup and grown dog. Dalmatians also adapt well to other pets if socialised correctly during puppyhood. However, they will need to be trained. An untrained dog can become a menace in any home. 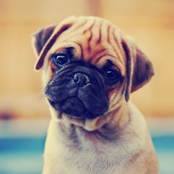 Teaching basic manners such as not pushing past in doorways, sitting before meals and walking nicely on a leash, will ensure your precious pup grows into a family friendly dog. Dalmatians do take well to living outside however remember they are a white dog and will need protection from the harsh sun. Good sheltered areas are a must for this breed. 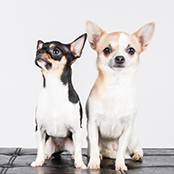 Their short coat will also mean they will feel the cold easily and many Dally owners invest in a good dog coat to keep them snug during cold evenings. Like all dogs, they do not take well to endless hours left alone outside. They will pine for your company and will love nothing more than a snuggle inside in the warmth or sprawled out across the tiles in the summer.